I am always trying different ways with chicken as its the best meat for watching our weight & healthy eating but it can just get boring, if you feel the same this is worth a try. Spray a pan with a low fat cooking oil or wipe the pan with kitchen roll with olive oil. Brown chicken & add the chopped onions, carrots, spices, lemon & stock to the pan. Bring to the boil, cover & reduce heat. 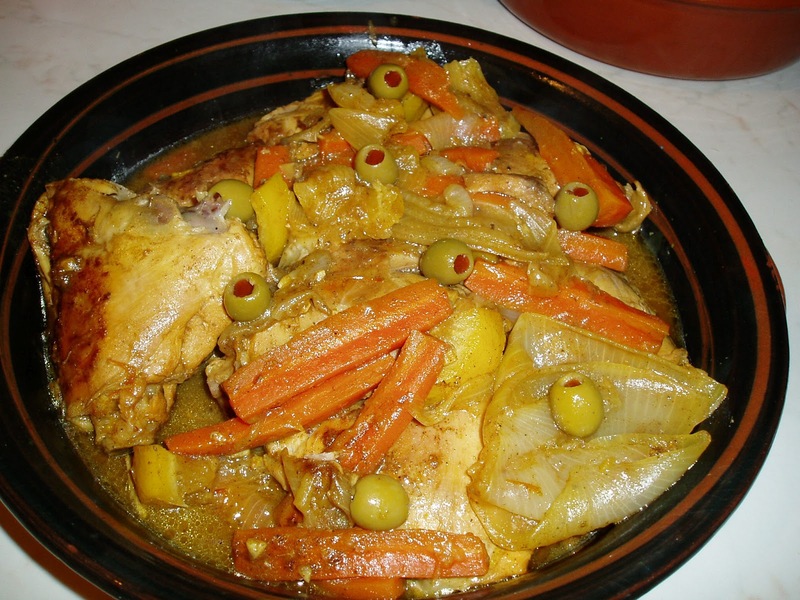 Cook for one hour until the chicken is tender, remove from the heat & stir in the olives.